Our approach to on-board dining is to start with only the best available local & imported ingredients. As such, the Menu is subject to change, due to availability of ingredients here on our Island of Roatán. 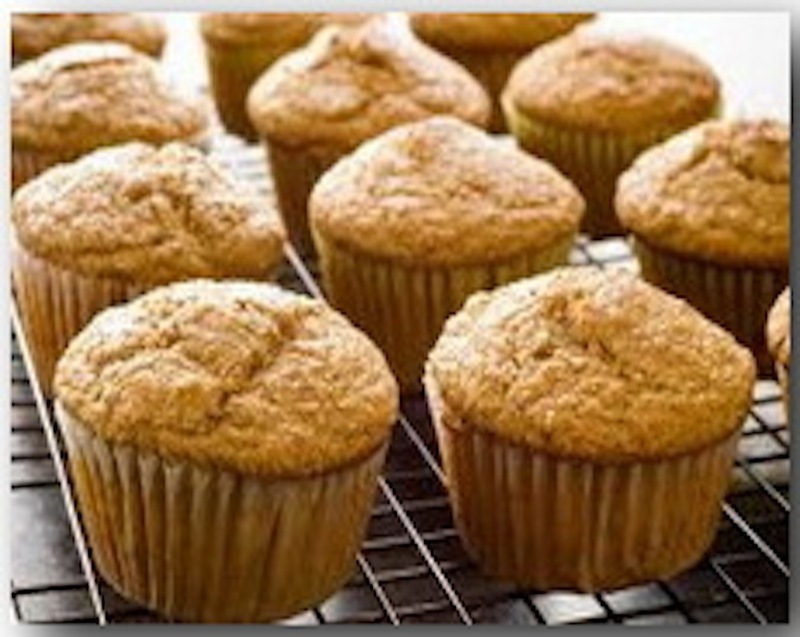 Our cook whips up fresh homemade pineapple muffins & peanut butter cookies - Served hot right out of our yacht's oven. Chena, our cook makes fresh Radical Salsa each trip using fresh tomatoes, onions & green peppers. 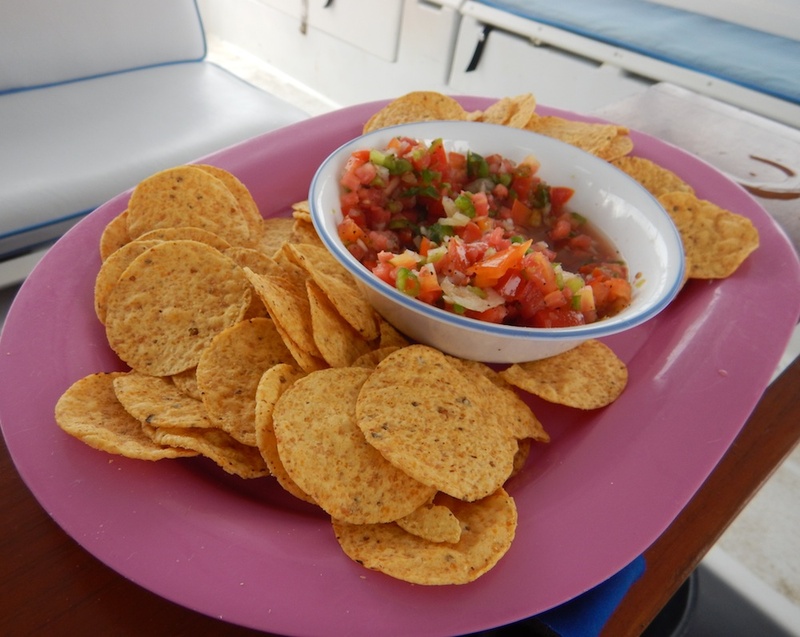 She then adds a bunch of secret ingredients that even we can not pry out of her for our Salsa & Chips. Once you have had your snorkel the galley puts together our famous Pizza Toasties with delicious fresh veggies & pepperoni. 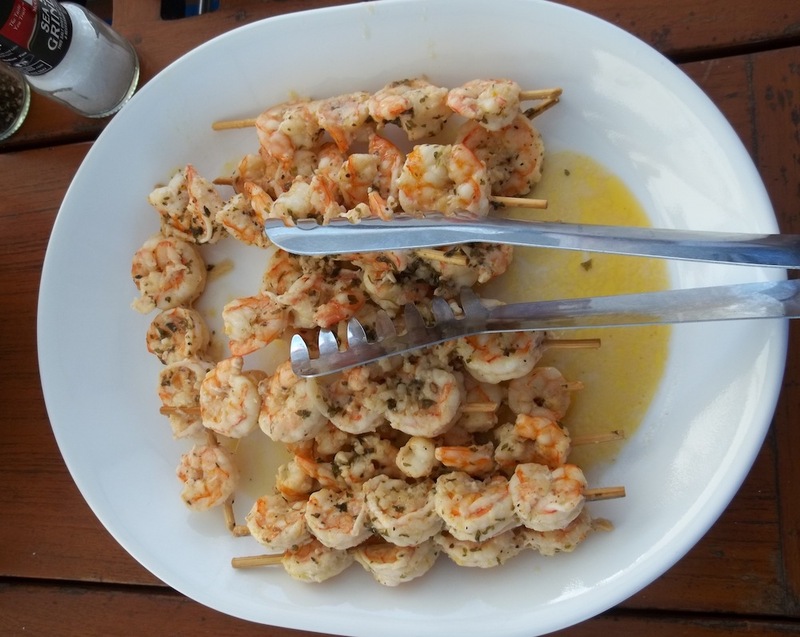 We fire up our ships BBQ grill & load it up with Chicken & Shrimp Kabobs. 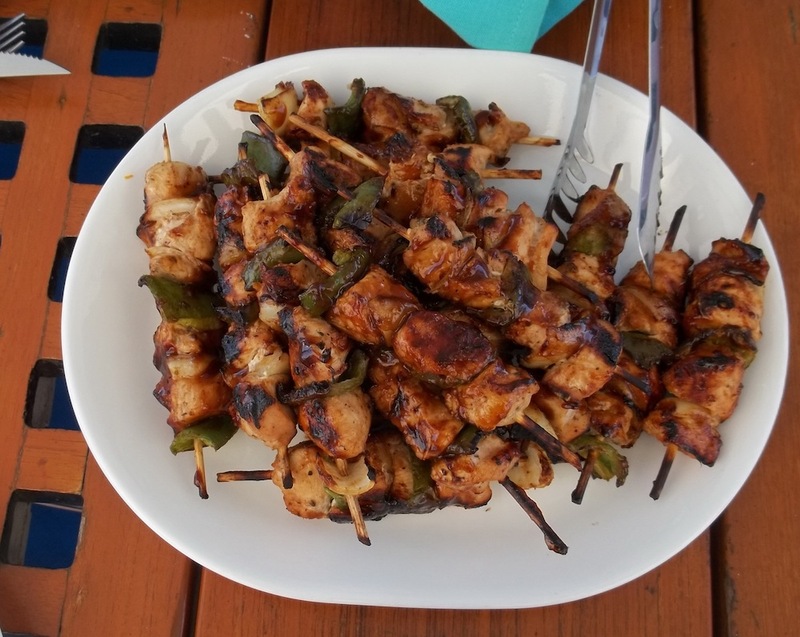 Our chicken is boneless breasts cut into chunks & skewered along with onions & green peppers. Our shrimp is straight from the Local Shrimp Boats & couldn't be any fresher. 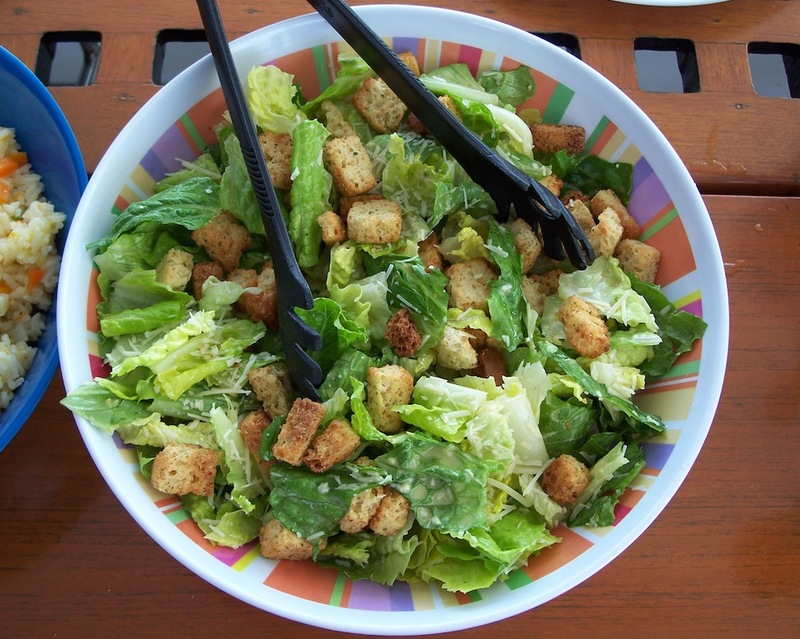 Fresh Caesar Salad, & Honduran style rice round out the meal. Allergic to certain foods? Gluten intolerant? Can’t stand fish? It is absolutely not a problem. 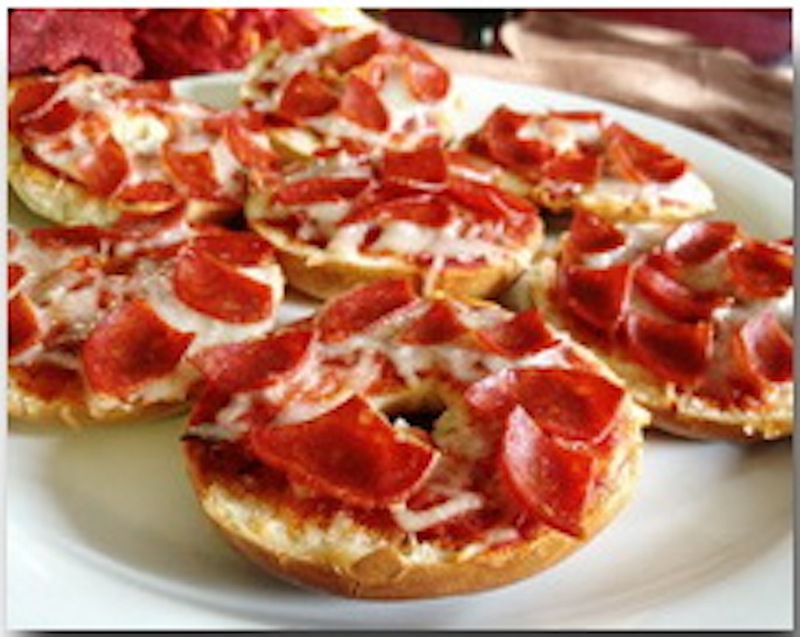 We can cater to any food requirements or preferences, including Atkins & Heart Smart. Just let us know & we will provision accordingly. Unlimited beverages are included with the cost of your charter.